If you have never tuned in for an episode of “Last Week Tonight” you are missing one of the most informative and entertaining bits of television available. 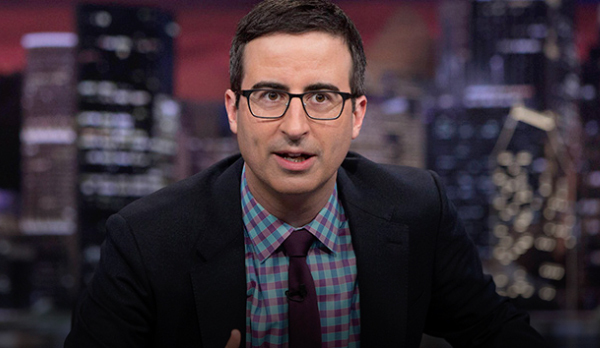 Host of the show, John Oliver, is a remarkable blend of humor and journalism, though he tells anyone who will listen that he is a comedian…and nothing more. 2. He insists he is a comedian – Anyone who has enjoyed Oliver’s riffs on everything from payday loans to “Brexit” will appreciate the humility of Oliver’s self-definition. However, few can argue that the man is far more dedicated to uncovering truths and exposing them, with a unique brand of humor, than simply laughing at or about them. 3. He was a stand-up comedian – Beginning in 2001 and running through the next few years, Oliver was a stand-up comic in the UK, and relocated to the US after getting his “gig” on The Daily Show with Jon Stewart. Even while working on this hit show, he continued his stand-up work in New York clubs, and continued hosting “John Oliver’s New York Stand Up Show” for several years. 5. His biggest comedic inspiration is…Richard Pryor – Admitting that he listened to Pryor’s albums over and over as a kid, and even described the comedy as feeling like music due to its perfect writing and performance. 6. Bonus: Oliver has always felt like an oddball – You might realize that his self-deprecating humor is a reflection of years of “not fitting in”, and Oliver admits that his teenage years were quite difficult, and that women were a challenge throughout life. It is interesting to see that John Oliver, though wildly self-confident in front of the camera has actually struggled with self-esteem and confidence even when he was enjoying huge success. Admitting he was nervous about stepping into Jon Stewart’s shoes at The Daily Show, he can now say he is a star in his own right. His “Last Week Tonight” is a tremendous television and online hit, and he himself is viewed as equal parts entertainer and insightful journalist.